I hope you enjoy these thoughts on some of my recent reads! How sweet this book was. Just writing about it brings me to tears. 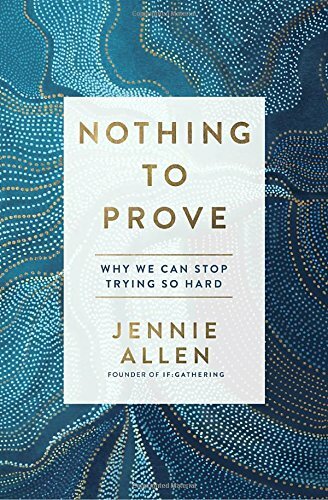 What a dear and fresh reminder that I have absolutely "nothing to prove" in my life because of the work that Christ did on the cross for me. I have no need to perform, no need to be perfect, no need to show up as my grandmother would say “with my face on and my hair did,” I need only be present and obedient to Jesus. Jennie Allen attends my church and as I was reading there were themes that were near and dear to my heart because I had already been dwelling on them - it wasn’t until about halfway through the book I realized it was because they were snipets from sermons or worship that have happened in my own church. It was a precious reminder to me of how knit together the body of Christ is. The author of this book is a fellow Austinite!! The whole book is based on the concept that no idea is solely ours, rather, each idea is based on thousands of inputs we receive daily from other people. Therefore, we should learn to use those inputs to our advantage! As a writer, I was beyond motivated to be more aware of the information that I consume and the way that I put it to use in my own work. 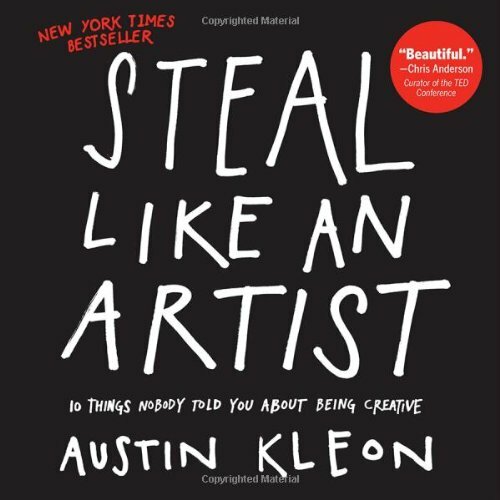 This book is for any and every type of artist - the writer, painter, cook, or dreamer. Did you hear Jill Briscoe’s talk from If: Gathering 2017? It sent me in search every book the library had by her. There was something in the way she communicated that left me hungering for more of her wisdom. I’ve been focusing on the book of Philippians for the beginning of this year and was pleasantly surprised to find that in this book, Briscoe is walking through the book of Philippians. I stepped away from this book convicted over my lack of intimacy with God in prayer that comes from a lack of … prayer! 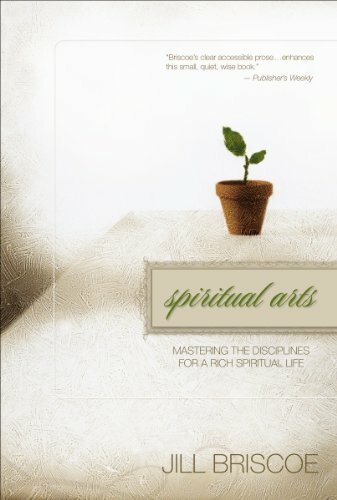 I was greatly encouraged by Jill’s motivations towards spiritual maturity and discipleship. We definitely build way too many expectations around what they should look like in our American culture! This was one of Modern Mrs. Darcy’s Fall Book Club picks and I have been absolutely dying to read it. 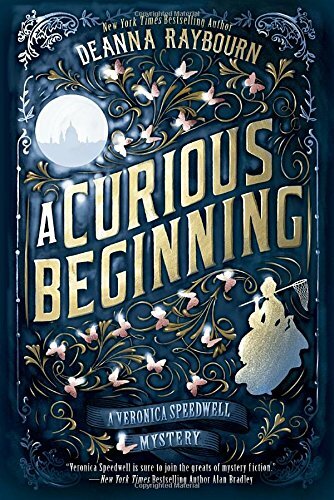 It’s a British period mystery and it was a page turner. Well worth the read! Also, I had no clue this is a series! It appears that the second book is already out. I will have to delve into that one soon! I reread Present Over Perfect because several of my close girlfriends were reading through it and kept trying to discuss it with me. The problem was that I didn’t remember half of the things they were bringing up! When I read this in under 24 hours the first time, I knew it would deserve a re-read eventually. I just didn’t expect that I would pick it back up as quickly as I did! This might qualify as my slowest re-read of all time. Normally I flip formerly read pages rapidly, in search of specific lines or paragraphs. This time I’ve been savoring. The same things are still standing out to me as they did the last time, but I’ve treasured the luxury of consuming Niequist’s easy writing style with slowness. 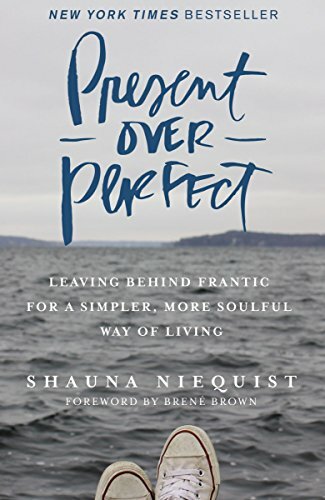 Last time I read this book, I didn’t have a job and truly was choosing being "present over perfect" in my day to day life. On this read through, I’ve been in the midst of deciding whether I would go from part time to full time, trying to purchase a home, and surviving the crazy season of work dinners and church events. On both read throughs this book has impacted me very similarly - as a young, married, twenty something, it makes me think about how I want my life to look twenty years from now and be aware that the path I lay right now is taking me there. Am I choosing quiet simplicity each day now? Or am I laying the foundation for a long life full of busy? I hope you’ll enjoy this one!